The book describes, to paraphrase Dr Crippen, “the inevitable collision between the immovable place of patient demands/expectations and the irresistible force of escalating costs”. 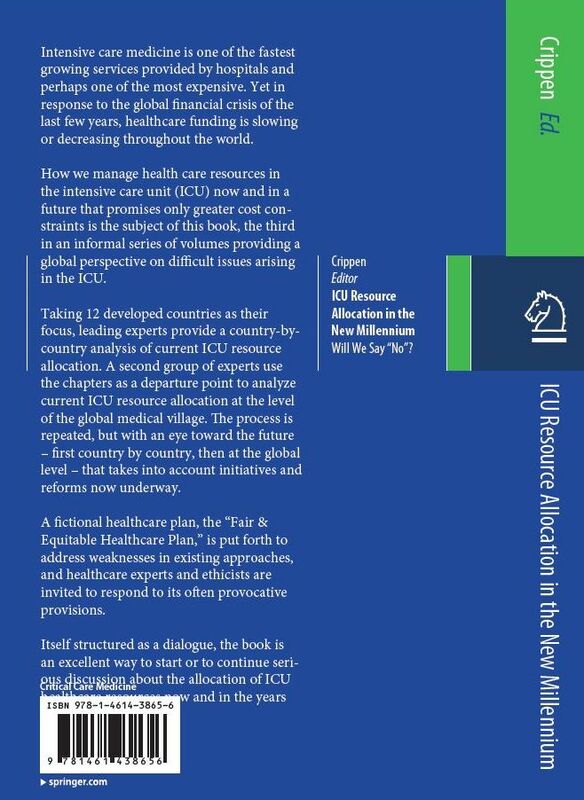 It examines how ICUs in 12 countries have dealt with resource allocation in the past and where they are heading in the future, through the eyes of doctors throughout the ‘global village’. A ‘Fair and Equitable’ plan is proposed and analysed in the succeeding chapters. It is in equal measures thoughtful and provocative; fascinating differences in the structures and how decisions are made exist across the spectrum of countries, but the similarities in thought processes and goals of care from the ICU doctors are remarkable. 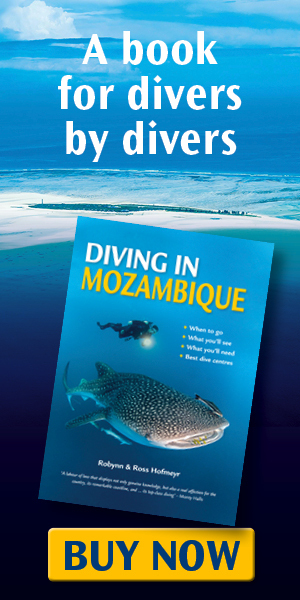 I haven’t yet read the whole book; perhaps more reflections to come! 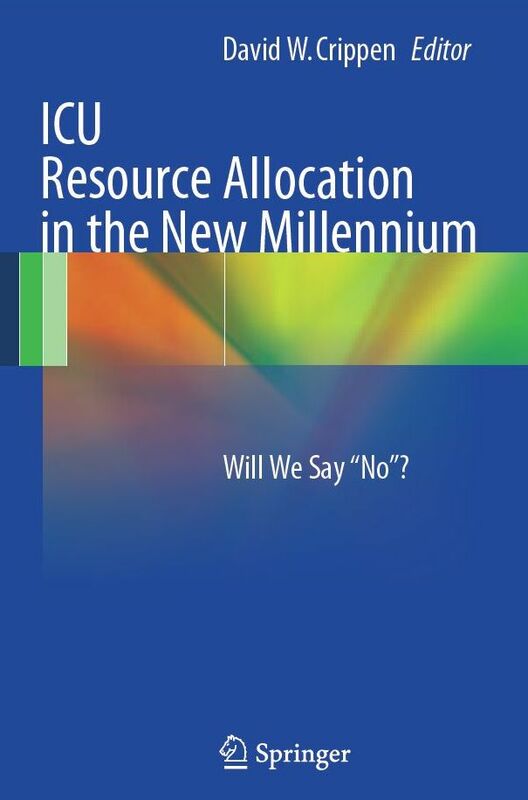 Springer.com – ICU Resource Allocation in the New Millenium – the publisher, and you can preview the table of contents and book online here.